Yesterday, we had a dinner with Kamigamo Shrine people; two Shinshoku (=priests), three Miko-sama (=priestesses) and three of LST planners. One of the Shinshoku got married this March with our service. We talked about various subjects include his wedding, “Shikinen Sengu” and other local events. We have been learning a lot from their flexible attitude to adopt and try new thingsKamigamo always. They will have a very important event, “Shikinen Sengu” this year. 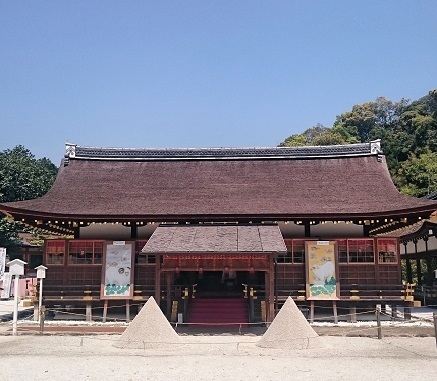 We are so grateful that we can assist wedding ceremonies at historical Kamigamo Shrine, and we will devote ourselves to provide good service.